Ask for some basic admissions in Requests for Admissions. (iii) some basic facts of the case. Non-Rambo litigators might begin with some boilerplate objections, but they still will admit facts that are not in dispute. 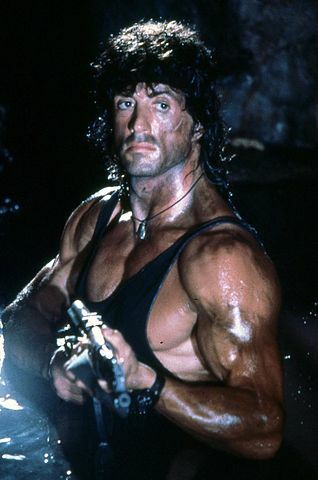 Rambo litigators, however, will deny everything. They have a fear that any admission will be detrimental to their case, and they justify their denial with a rationalization that they don’t know all the facts and that this fact may become a disputed issue in the future. They see only a downside to admitting and no downside to a denial. So they deny. The reality for you is that either answer – Admission or Denial – is good, but a Denial is better. Admissions are good because they stake out the other side and limit what you have to prove. Of course in my example the admissions have limited value because they do not cover highly controversial issues. So you’re even better off if Rambo denies your requests. Now, take advantage of these denials when you take your depositions. Federal Rule of Civil Procedure 37(c)(2) allows a party to recover attorneys’ fees when proving an element that was not admitted in a failure to admit. There are some caveats to recovering your expenses set forth in the rule, which is why I advise that you cover substantive issues that affect your claim. The beautiful aspect of getting denials on basic issues that affect your claim but that are not truly at the heart of the dispute is that you probably can get the admissions you need during your depositions. Now, in the deposition, cover these same elements and see if you can get simple admissions. (Hint: don’t tell the deponent that these items were denied in previous Requests for Admission. Remember these are supposed to be easy.) Chances are the deponent will not deny the issues because they are not really “issues”. Spend the time you need; get the admissions. Then file your 37(c)(2) motion (or equivalent in most state courts). Be careful not to ask for fees that are clearly unrelated to proving the items in your requests. For example you probably couldn’t argue that you would not have deposed the other side’s key witnesses but-for the denials to your Admission Requests. Your motion is about money, but it is also about overall strategy and your credibility with the court. Motions for sanctions and fees are great if you have a legitimate claim. They put the other side on the defensive; they make your opponent look bad in front of the judge; and (if you win) they have to pay you money even before the case is resolved. The additional benefit is that you may also convince Rambo to be a little less “Rambo-ish” in the future.